Thank you for your votes! We appreciate your selecting us as Simply The Best Credit Union in this year’s readers’ poll. Thank you to everyone who voted for us! High school graduation is right around the corner. There’s no way your baby is old enough to be going off to college. You just waved goodbye to kindergarten and you’re dealing with the fact you really do have a child old enough to be in college. And it costs how much? What do we need to do when? What’s a parent to do? • Complete the Free Application for Federal Student Aid (FAFSA) and the Pennsylvania State Grant Application. The FAFSA can be completed online at www.fafsa.gov and the PA state grant application can be found at www.pheaa.org. • If the college/university requires additional documents or applications, be sure to complete those, too. Make sure all forms are completed before each school’s deadline. • Continue searching for scholarships now and the entire way through college. • Plan college visits if you’re still deciding on the right school. • Financial aid packages/award letters and college acceptance letters will start rolling in from schools. Keep track of them and pay attention to any deadlines. • Thoroughly review the award letters to determine how much financial aid (grants, scholarships, work-study and loans) you’ll receive and how much is still needed to bridge the gap between the cost of attendance and the amount of aid offered. • Complete applications for student loans if necessary. • Open a checking account and VISA® Debit Card with us for your child and set up across account transfer capability so you can transfer money from your account to your child’s account. • Celebrate graduation with family and friends! Not sure what do make of the entire student loan process or just need to talk to someone with some expertise? Call Tiffanie DeVan, our Specialty Loan Administrator, at (800) 283-2328, ext. 6017 or (717) 795-6017 or email devant@members1st.org. It has made national headlines, Facebook and blog posts and is the subject of countless tweets all thanks to a 27-year old California woman who just got tired and fed up. She got so fed up and tired that her disgust, disillusionment and disappointment with a particular well-known big name financial institution that she single-handedly started a national “event” via Facebook that is designated to take place on Saturday, November 5, 2011. If you haven’t heard about Bank Transfer Day at this point, you haven’t been listening. And if you’re a customer of a financial institution that’s not a credit union, you may want to rethink your relationship with the organization you “bank” with. Kristen Christian, founder of Bank Transfer Day, is urging everyone and anyone who has had it up to here (visual – stand tall and place your hand parallel over your head) to grab their money and run – run to the nearest credit union or small community bank to show those big bad bankers that the people of America are not going to take it any more (does the 1980’s anthem “We’re Not Gonna Take It” by Twisted Sister come to mind?). She wants fed up bank customers to take a united stand and make the switch because of the fees and other practices she believes are unethical. However, if you’re perfectly happy with fees and other related practices, you have the choice to stay where you are, get over it, and do nothing. Where you “bank” is obviously your personal choice. We’re not writing this to tell you what you should do. We are simply reminding you that there are significant differences between a credit union and other financial institutions as noted in previous posts and you have the right to choose where you put your money. Would we like for you to become one of our members? Absolutely. Will we make it worth your while to switch? We can only hope that we do. But the choice to switch remains all yours. All we ask is that if you’re not a credit union member, consider joining us. See what we’re all about. If we’re not the right one for you, which again we hope that we are, then look for a credit union that does meet your needs. We just want to see you get the most out of your hard earned money and be treated fairly and consistently. We don’t want to see you nickel and dimed to death. We don’t want to see you ambushed by a surprise attack of new fees, takeovers, buyouts and big time payouts to executives and stockholders. Ms. Christian has managed to energize people, like tens of thousands, to really take a look at their relationship with their current financial institution. Kudos to her for taking the stand and reminding people that there are other options out there that truly have the best interests of their members (customers) at heart. We’re the third largest credit union in PA with over 200,000 members. Just because we have a lot of members doesn’t mean you get lost in the crowd. Providing you with unparalled service is top on our list! We have 50 branch locations throughout Southcentral PA – convenient! We belong to the CO-OP ATM network and the CU$ ATM network – that means you won’t be charged surcharges at these ATMs. We have all of the latest online banking technology including mobile banking apps – convenient! We are locally-owned and operated – that means “they” can’t buy us or take us over. We have a FEE-FREE debit card that PAYS YOU! That’s right – we pay you 5 cents for every non-PIN based point-of-sale transaction! We reward you for being a member – exclusive Swipe 5 debit card rebate (see reason #5 above), loyalty rewards, few fees, low loan rates, special contest to win PSU tickets, cash-back or travel/merchandise rewards on our VISA Credit Card, and more! We love the communities in which we have a presence – we donate thousands of dollars into the local community through charitable and community events and our associates volunteer hundreds of hours every year helping numerous organizations. We don’t have stockholders to pay – our board of directors consists of volunteers nominated right from our membership and they’re people you know. That means any profits we make are returned right back to our members who have accounts with us. That’s why are name is what it is… Members 1st… we really do put our members first. We’re Simply the Best – at least that’s what the readers of Harrisburg Magazine tell us. And with 200,000 members worldwide, we must be doing something right! You like us -You really do! We want to thank the readers of a few local publications for taking the time to vote for us in their annual readership surveys. Your votes help reinforce the reasons why we are the preferred financial institution of choice in SouthCentral Pennsylvania for thousands of members – 187,000 plus to be exact. Now on to our news! 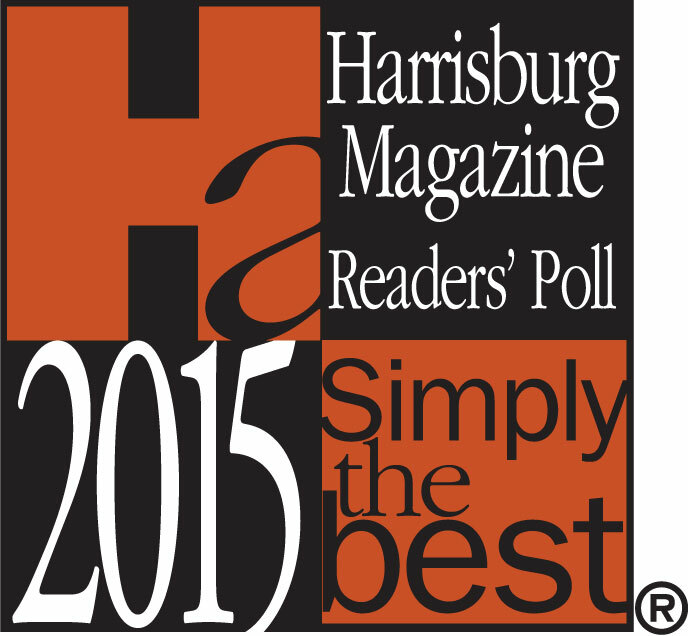 For the 8th year in a row, the readers of Harrisburg Magazine have voted us “Simply the Best” Credit Union. This annual readership survey runs from January and through the end of March. Winners are announced in the magazine’s August issue. Be sure to watch for the 2012 ballot so we can keep our winning streak going. Readers of The Sentinel voted us the “Best Credit Union” in the Carlisle and West Shore areas. Voting for this annual readership favorite contest typically runs in May and June with winners being announced in late July. Members 1st was also honored as a “Who’s Who in Business” in the York (PA) area by the readers of Susquehanna Life magazine and as a “Family Favorite” by the readers of Central PA Parent magazine. Thank you readers of all publications for the public confidence you place in us when it comes to your personal and business finances.